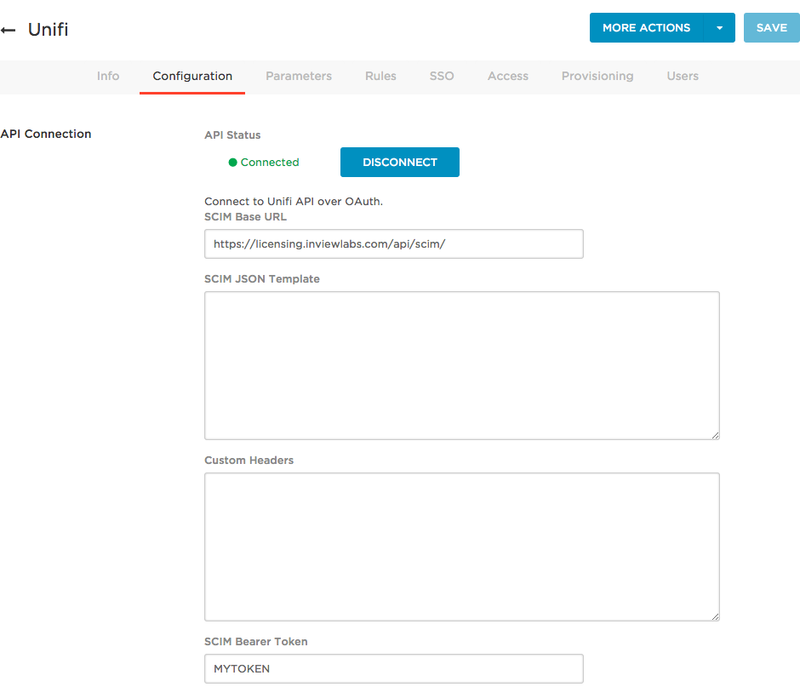 This article describes how to configure OneLogin to provision users to Unifi. You perform the entire setup in OneLogin. Log into OneLogin as a Super User or Account Owner and go to Apps > Company Apps > Unifi. Under the SCIM Base Url, put https://licensing.inviewlabs.com/api/scim/. Under SCIM Bearer Token, create a new token by giving it a name. Copy this down. Now go back into your Unifi account dashboard. Select Identity Providers if you are in the web view. Select User Management > Identity Providers if you are in the desktop client. 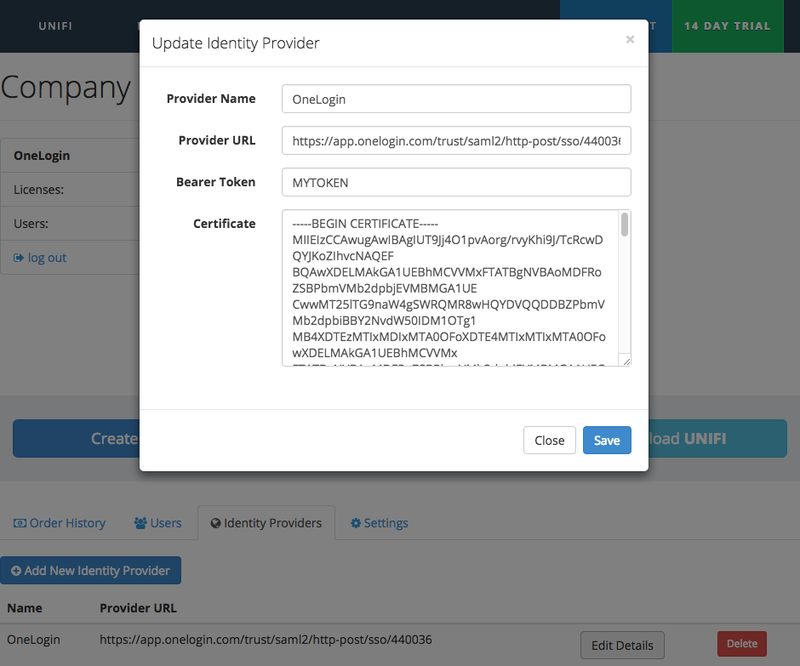 Click Edit Details on your existing Identity Provider profile. In the Bearer Token field, paste your SCIM Bearer Token created earlier in OneLogin. These screens will look similar on both the web and desktop clients. OneLogin and Unifi should now be connected through the SCIM provisioning server. Select Enable provisioning for Unifi. For any action you select, a OneLogin administrator must go to Users > Provisioning and manually approve each action for provisioning to complete. Clear these options if you want OneLogin to provision new users and user updates to Unifi without administrative approval. Select what happens to a user in Unifi when that user is deleted from OneLogin. To confirm that provisioning from OneLogin to Unifi is working, add a user to OneLogin and go to Users > Provisioning to approve the provisioning event, if necessary. When the user is marked as Provisioned, go to Unifi and confirm that the new user has been added.